If you like templates you are going to LOVE my new template collab with my good friend Melissa of Cluster Queen Creations. 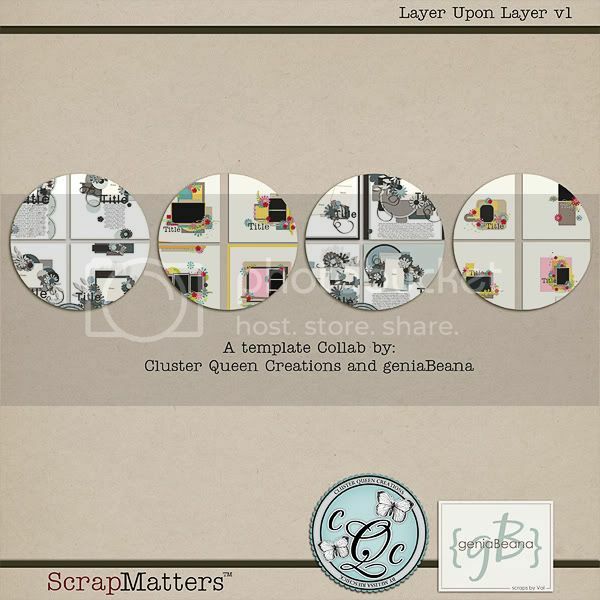 Layer Upon Layer v1 contains 4 packs of 4 templates. The pack has single photo as well and multi-photo templates. There are super fun clustery layouts and simply layered arrangements. I'm also hosting a Speed Scrap tonight at ScrapMatter! I just love ScrapMatter's Speed Chats... 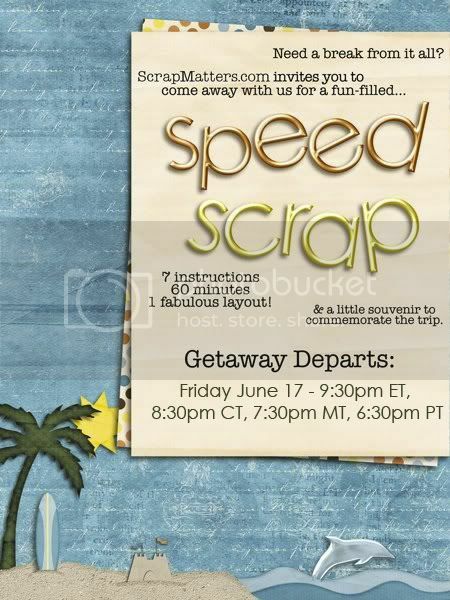 I mean Scraps :D LOL We have such a great time Chatting and Scrapping in the Chat room at ScrapMatters. I hope everyone has a happy scrappy weekend!